Did you forget something you need for the road? Are you looking for the local Walmart, or need to refill a subscription? Do you need a really cool souvenir to take back home from your visit? We have pulled together more shopping contacts to help you out – and frankly who doesn’t just love to shop? But more than the necessities, you will find local country stores throughout the county with a grand selection of items. Shop at Stanfield&apos;s in Four Oaks, C.E. 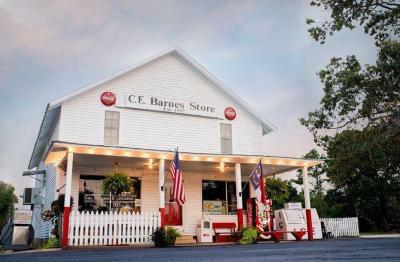 Barnes in Archer Lodge or the Clayton General Store for local products, soaps, blue jeans, or artwork. These country stores are where the community comes together for news and socializing...and to sit a spell! Check out our coupon page for any special offers from our tourism partners – we know they will be happy to see you!